So everyone who knows me or follows this knows I love anything with fringe, especially on my feet (think I’ve said that before) I basically love anything that makes me feel like a clydesdale lol ; ) I found these gorgeous babiessss on Zara online and I am OBSESSED…to say the least. Here’s the details on where you can get these and a few of my other fringe finds right now. And yes, sometimes you just need to buy both colors!! 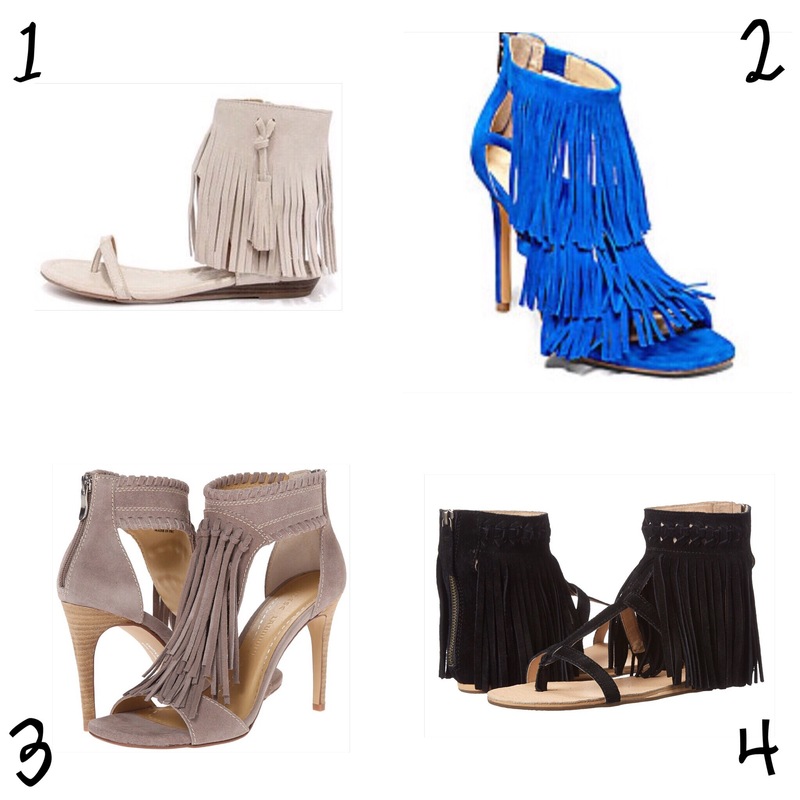 That’s all for my favorite fringe shoes right now! « My go to lip colors..